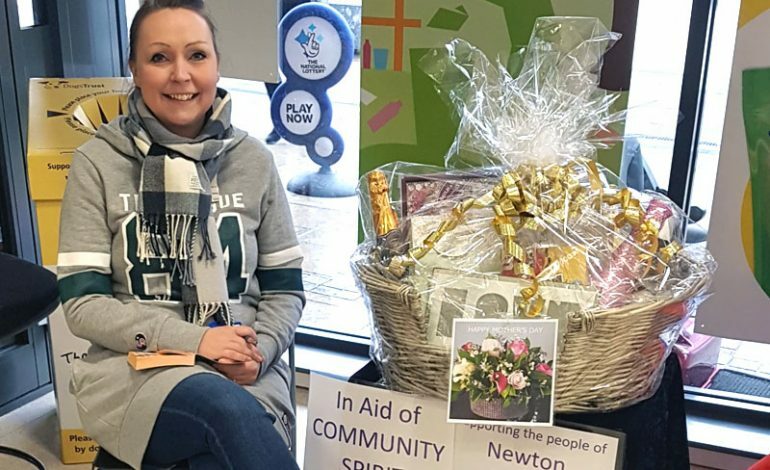 A Newton Aycliffe mum was treated to a beautiful hamper after a fundraising effort by new group Community Spirit. Joanne Jones, of Community Spirit (pictured) made the Mother’s Day hamper and, with the co-operation of the Wilko store in Newton Aycliffe and volunteers who helped man the stall for two days, raffled it off for £355. “We benefitted from the excellent footfall that the Wilko’s store enjoys,” said Joanne. The hamper was delivered to the winner, Mrs Doris Kelly, of Rowan Place, on Sunday morning. The cash raised will go towards Community Spirit’s charity fund.